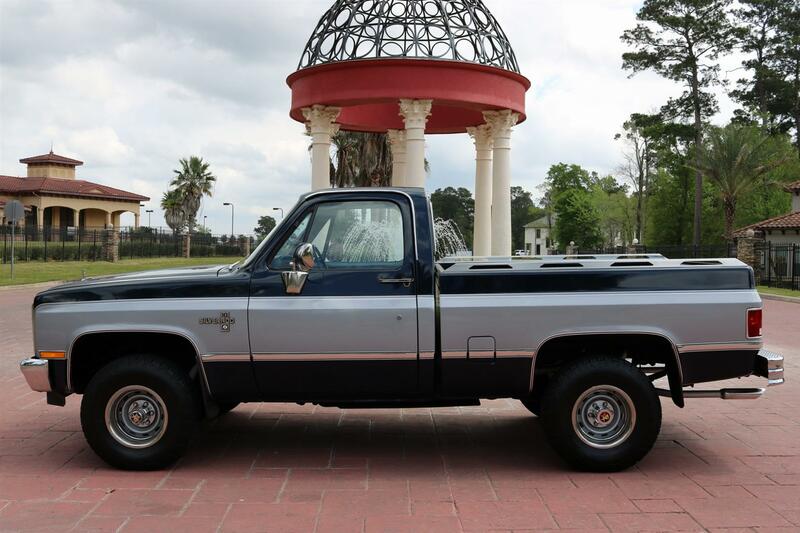 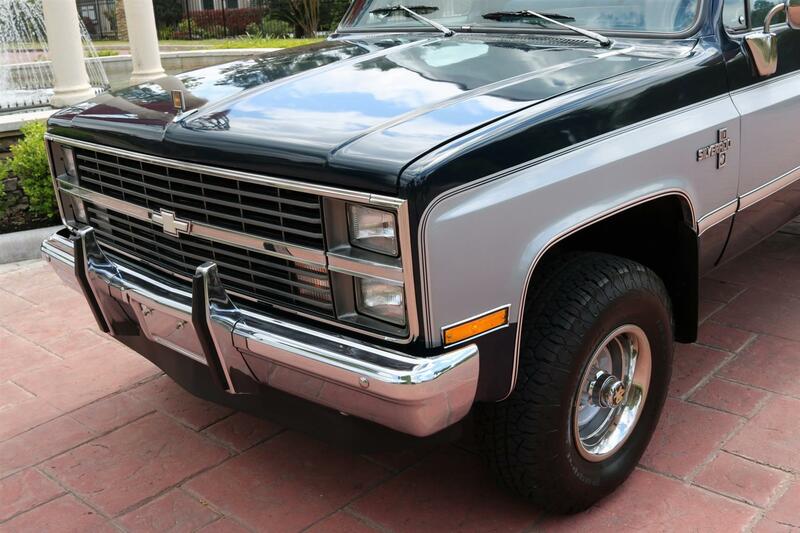 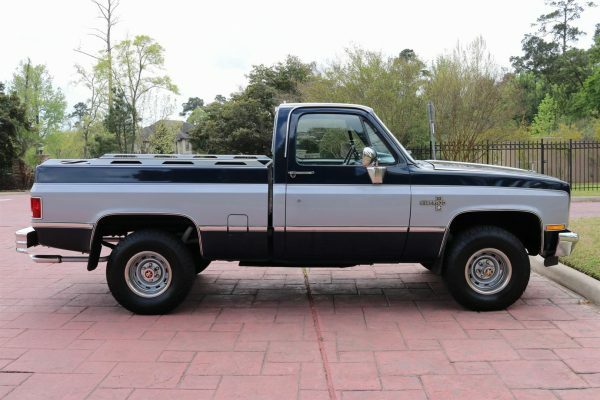 1983 Chevy K10 Silverado SWB – V8, Auto, 4×4, Power Windows & Locks, New Paint & Tires, Runs Great! 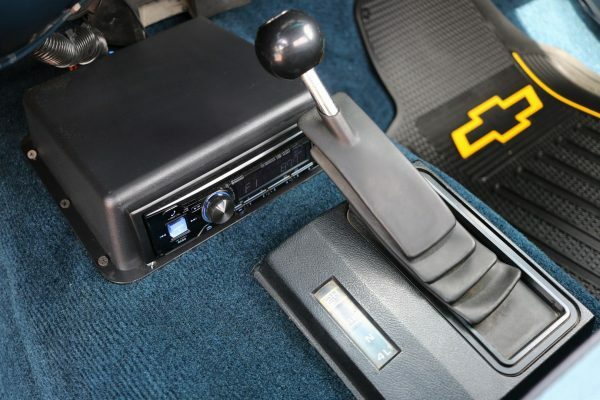 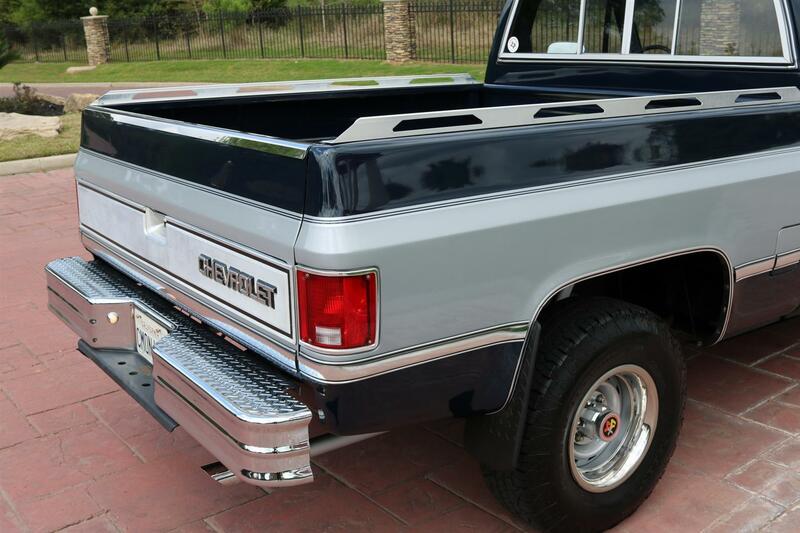 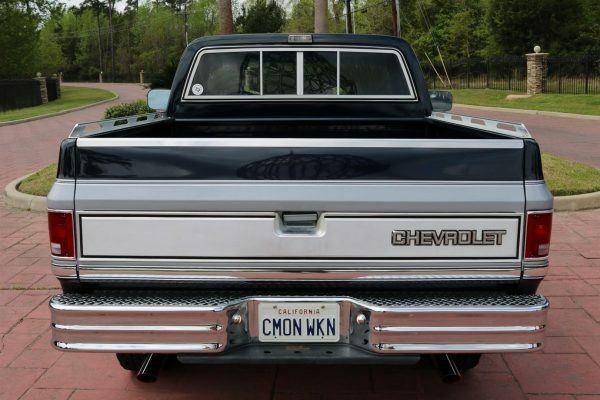 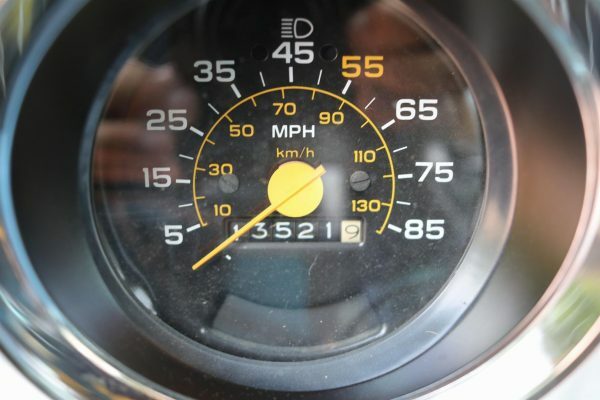 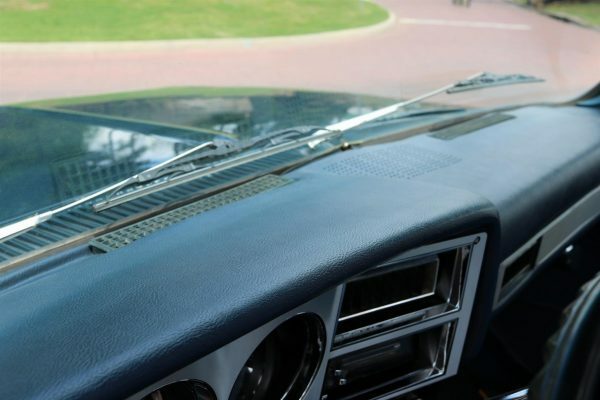 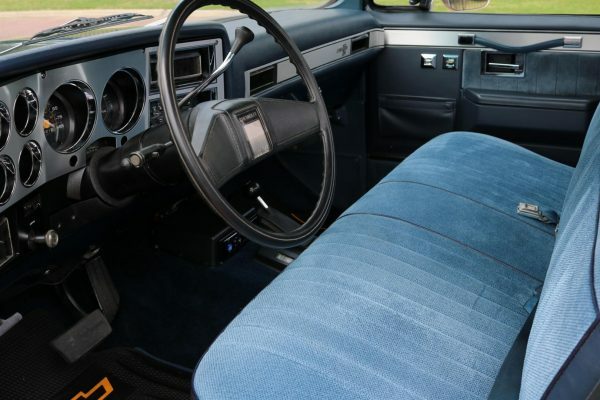 1983 Chevy K10 Silverado: An all-new clean sheet redesign of General Motors’ Chevrolet and GMC brand C/K-Series pickups débuted in mid-1972 for the 1973 model year. Development of the new third-generation trucks began in 1968 with vehicle components undergoing simulated testing on computers before the first prototype pickups were even built for real world testing. 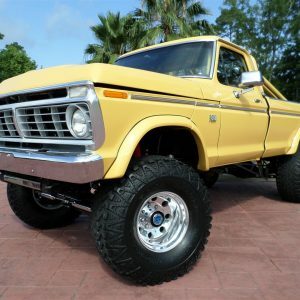 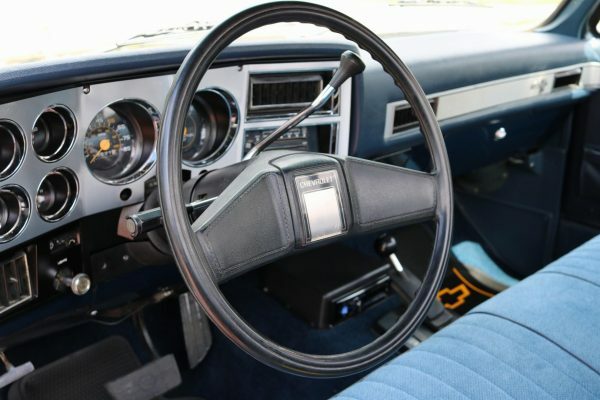 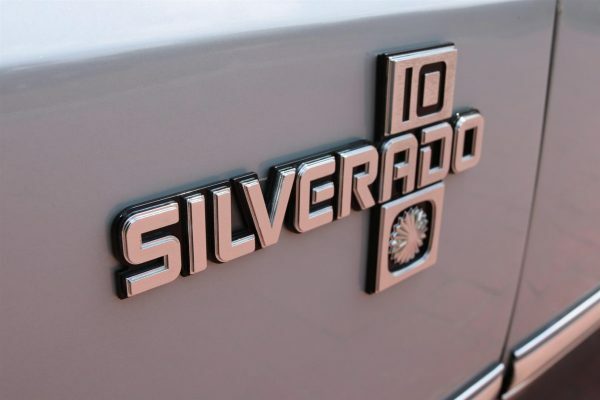 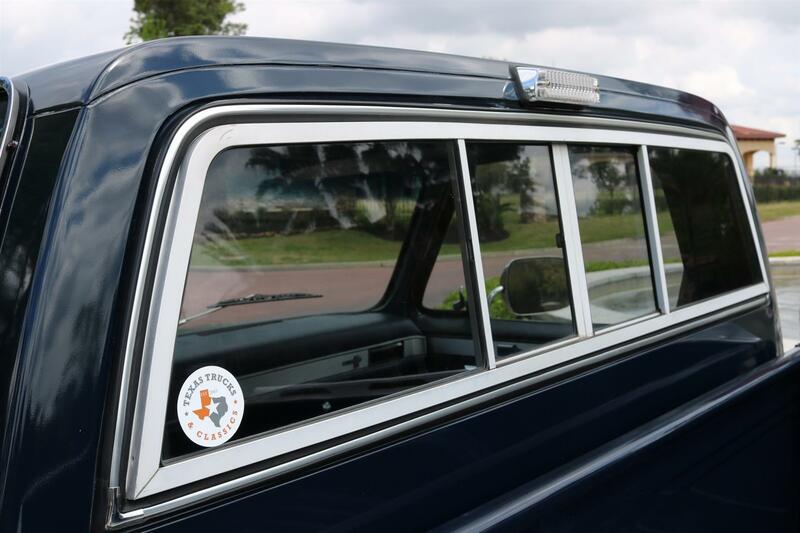 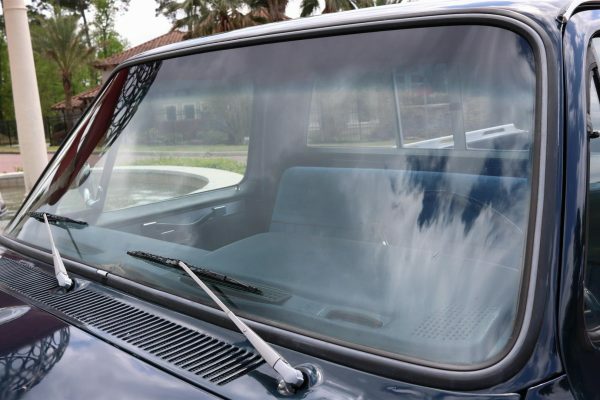 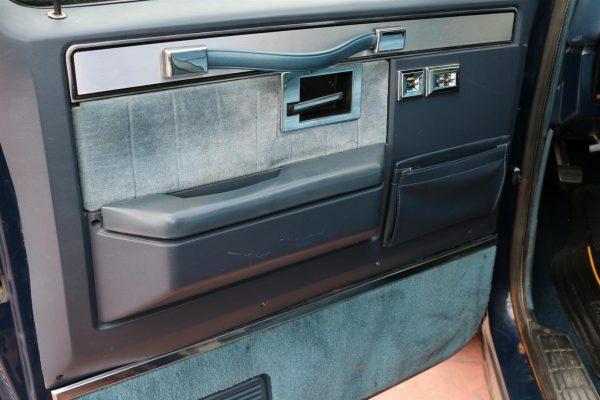 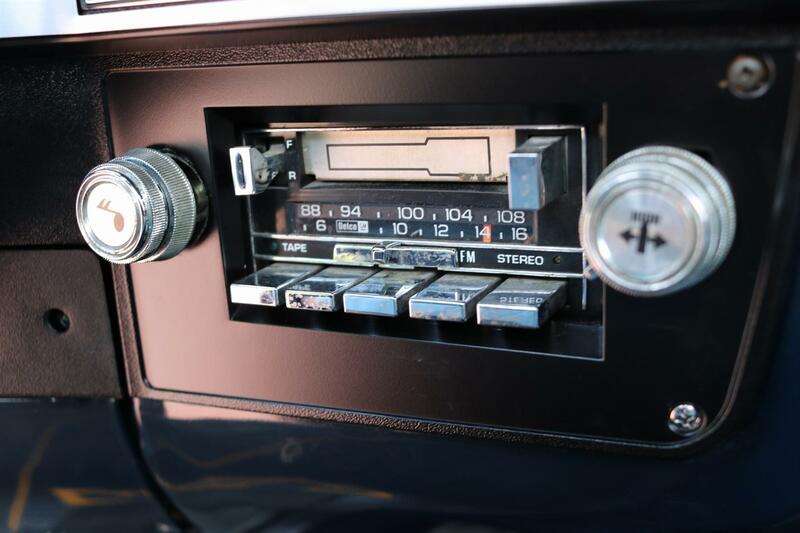 The redesign was revolutionary in appearance at the time, particularly the cab, departing from typical American pickup truck designs of the era. 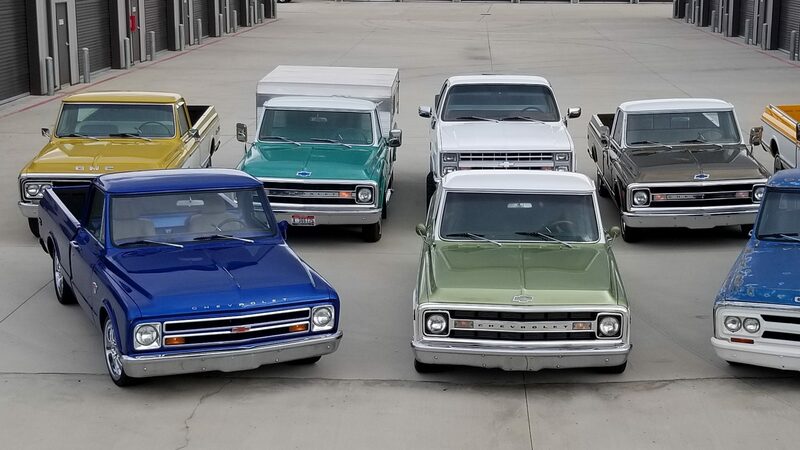 Aside from being near twins, the Chevrolet and GMC pickups looked like nothing else on the road. 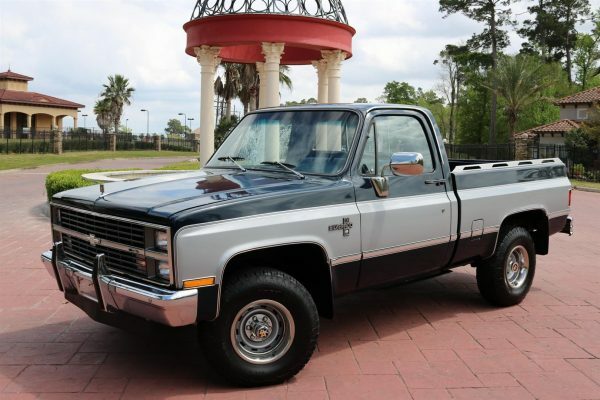 The third-generation trucks are colloquially known as the “Square-body” or “Box-body” generation. 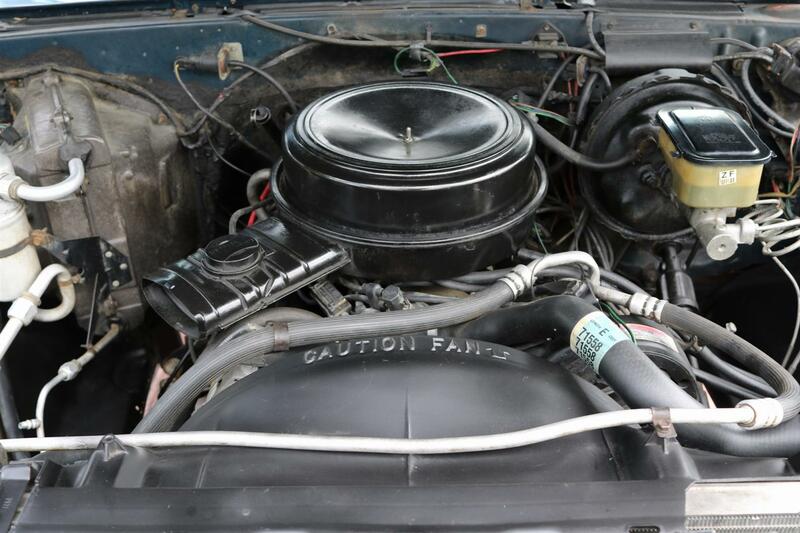 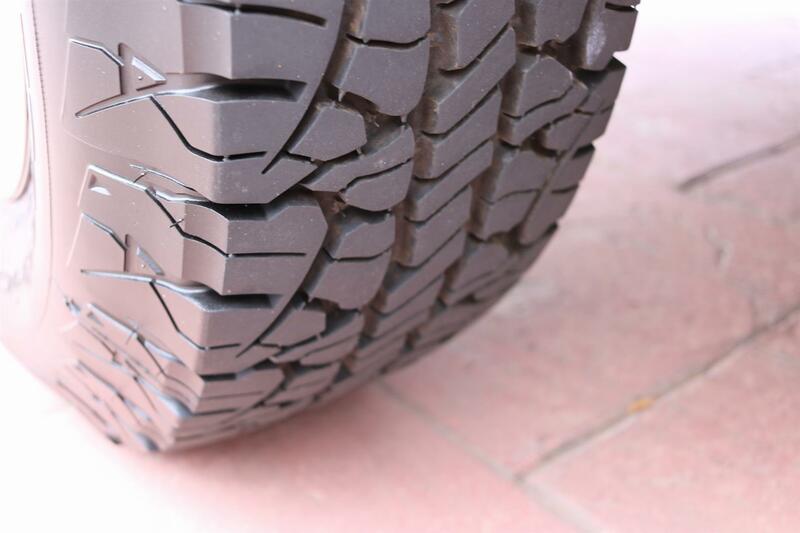 We search the US daily for clean, mechanically sound, original Chevy/GMC trucks and locating them is no easy task. 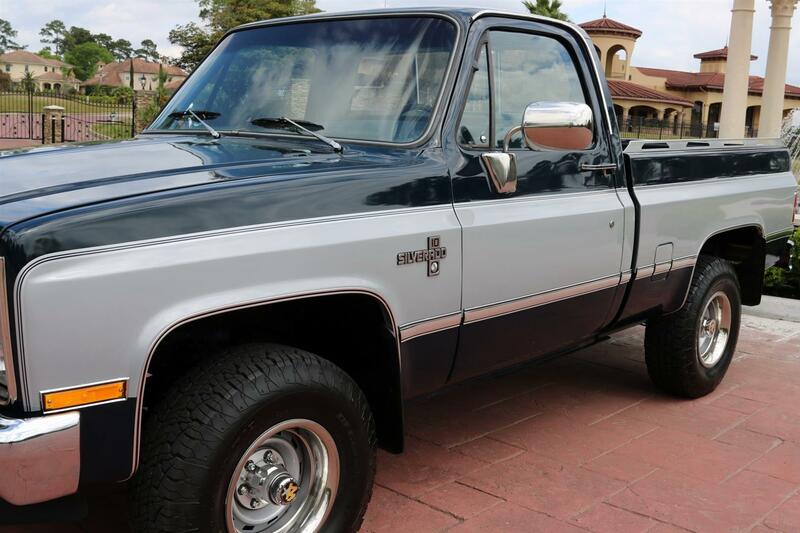 When we located this very clean, highly optioned and great driving short bed Silverado, we jumped on the opportunity to purchase it. 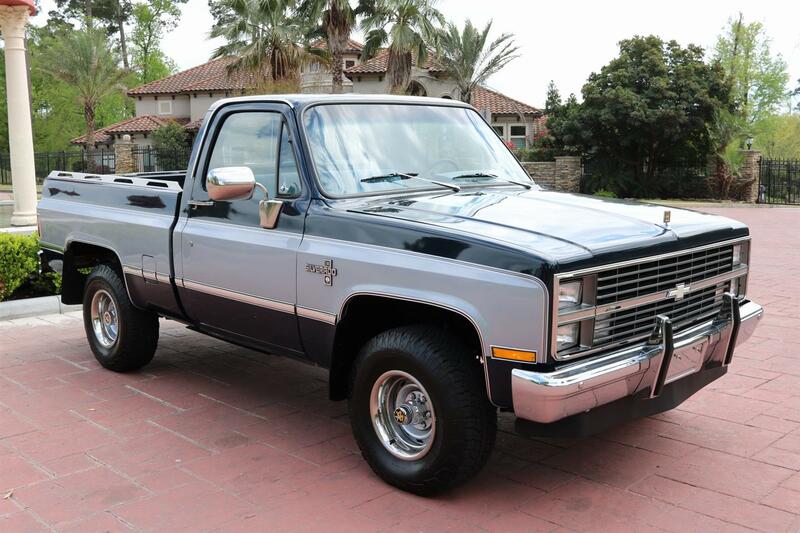 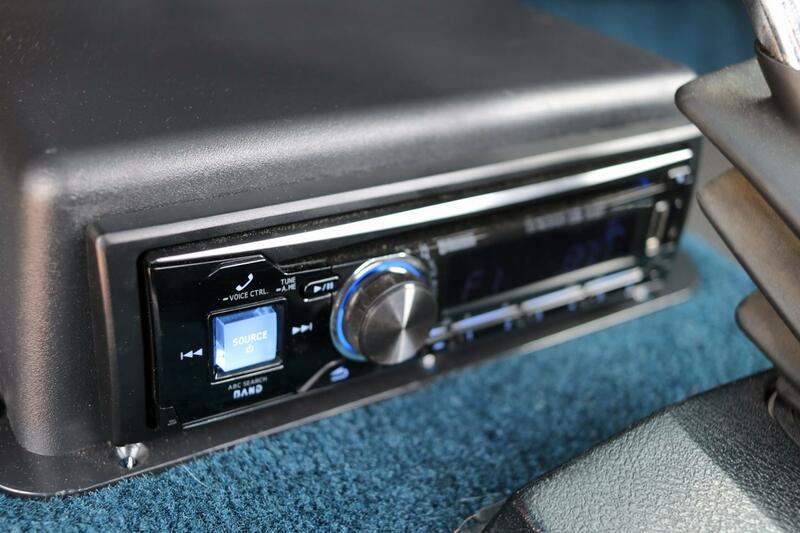 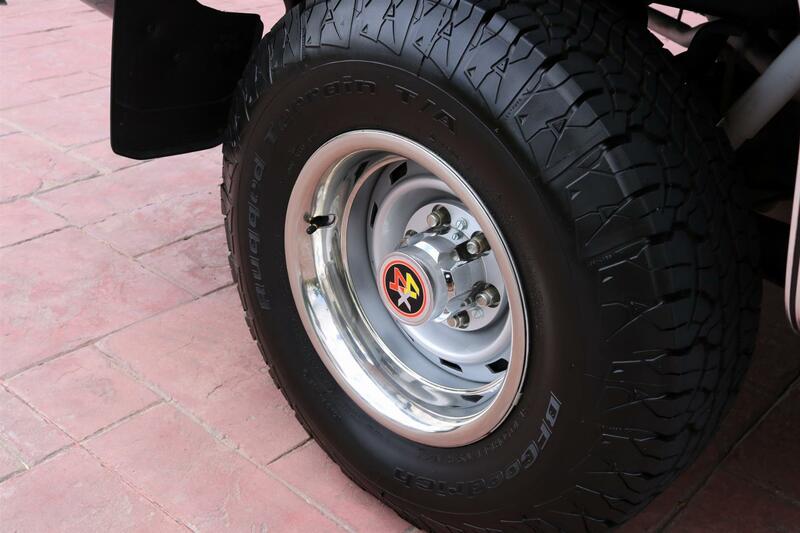 This K10 has been recently restored and careful attention was taken to keep it looking as original as possible. 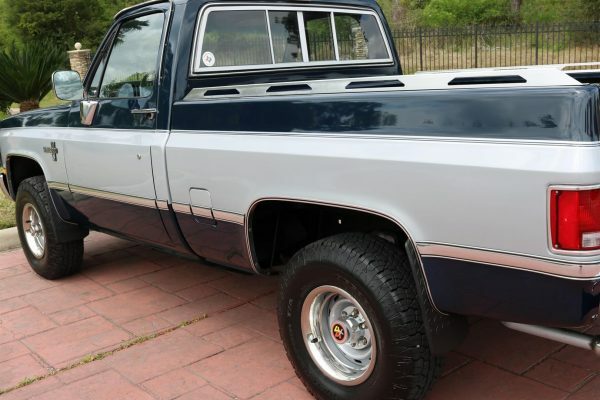 The Midnight Blue & Silver paint paired with new chrome trim and a set new BF Goodrich 31 x 10.5 tires give this K10 a lot of curb appeal. The interior, paint, chrome, tires and engine bay are all in excellent condition. 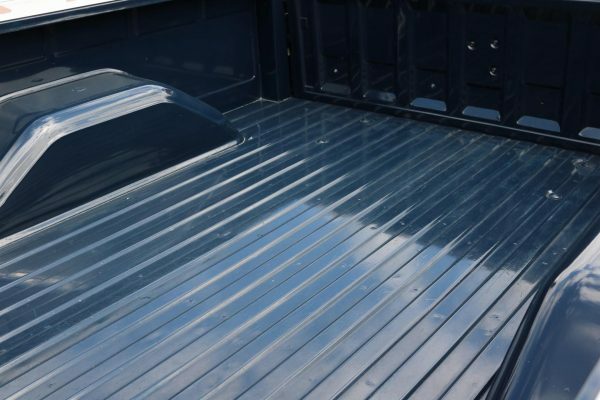 Receipts that arrived with the truck indicate $4,500 was spent on a complete paint job in 2016. The underside of this truck is extremely clean. 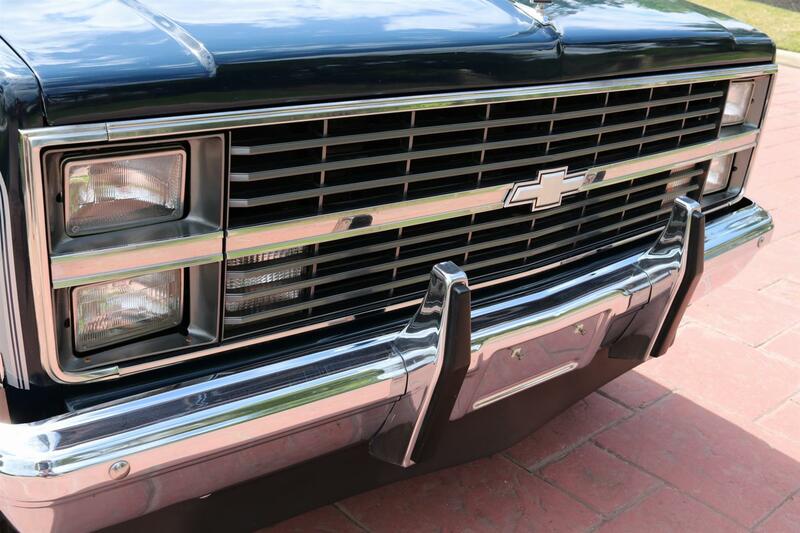 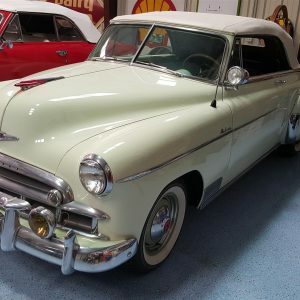 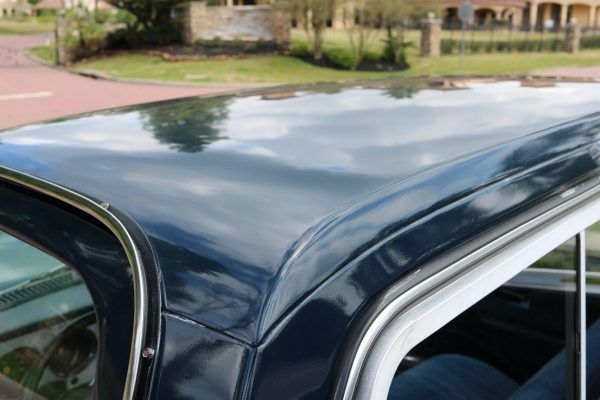 Even better than its great looks is the drive-ability of this classic Chevrolet. 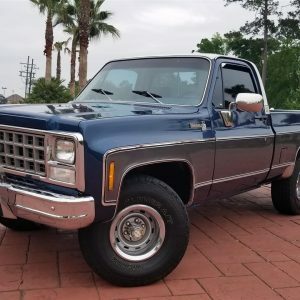 As the owner of the dealership, I have personally put several miles on this truck and it drives great around town and on the highway. 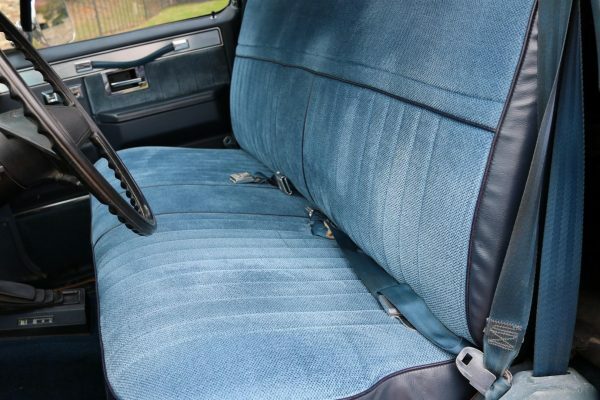 The A/C blows cold and everything works like it should. 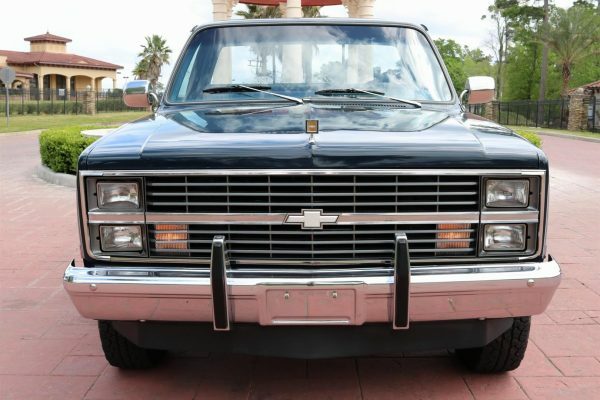 Features and options include; Silverado Package, Sequoia Special (1YH6), 305 V8, Auto, 4WD, A/C, Bed Rails, Chrome Mirrors & Bumpers, Chrome Grill, Cruise Control, Dual Exhaust w/ Chrome Tips, Dual Tanks, Rubber Floormats, Power Steering & Brakes, Power Windows & Locks, Sliding Rear Window, Factory AM/FM Radio, Alpine CDE-1438T, Original Owners Manual, Tilt Steering, Tinted Glass, Vent Windows, 15” Rally Wheels, and NEW BF Goodrich Rugged Terrain 31×10.5 R15LT Tires! 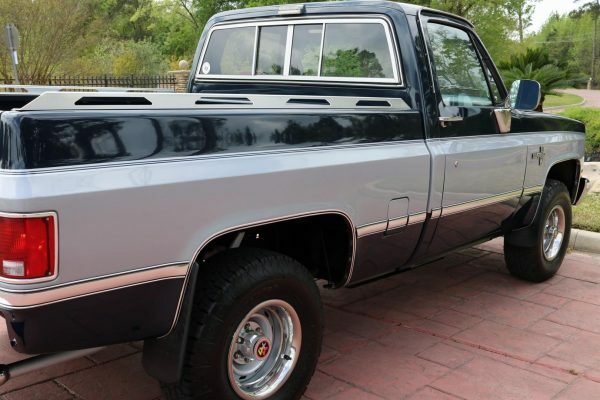 The industry experts at NADA already value this truck at $22,205 and Hagerty Guides comes in a little stronger at $33,700. Each passing day these trucks become harder to find and are constantly increasing in value. 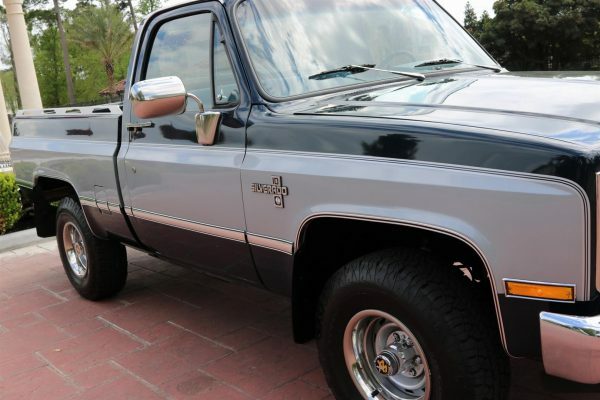 Don’t let this one slip away from you!